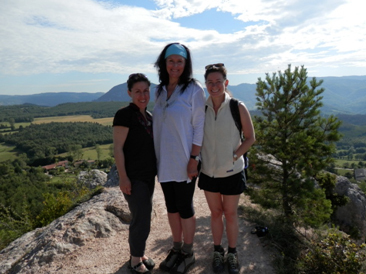 I’m just back from, yet again, a wondrous workshop in The South Of France. It never fails to amaze me how, by working with the energies of the land with an invocation and pure intent, so much healing and transformation can take place, seemingly without effort. This in addition to having fun the entire time!!!! So much has been let go of… it seems that my life ‘before’ France was ages ago….who WAS that person? I know that many are feeling this way from day to day… time is flying by and if we ride the wave of change and transformation, allowing the influx of light and love into our lives, miracles and magic ARE happening. This year we had quite a pilgrimage to the Cave Of Mary Magdalene. The cave is hidden in the wilderness and is very hard to get to. Last year I was warned that I would not be able to find it on my own, and after hours of wandering in the heat in an unfamiliar terrain, I lucked upon a camper who showed me the way. The story around this is for another time, as it is part of the making of the flower essence “See Truth”. This year, I had no such luck and the group got lost for 2 hours. As part of our process of “finding the grail within”, we stuck with it, faced our inner doubts, fears and programs that prevent us from achieving our goals, and we triumphed and found the cave! Inside the MM cave. I could have stayed there forever. 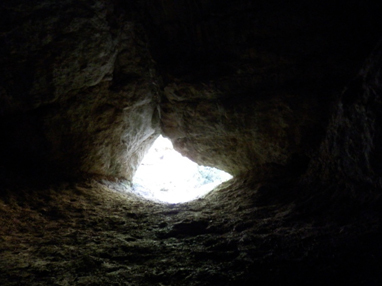 The experience within the cave is hard to describe… for me, it was a meeting of the Divine Mothers’ Unconditional Love… being enveloped in this pure energy… with a knowing that I am loved… always. Last year I received the message to make a flower essence from this energy, and this year I was able to do so. I am soooo excited about this, as Mary Magdalene’s consciousness, empowered by the Divine Feminine collective, can now be shared in this way all over the planet!!! The essence is named Liberation and Triumph, helping us in the process of letting go of doubts and fears, supporting the Dark Night Of The Soul, on our journey to Soul Mastery and enlightenment. MM has come to symbolize the human journey of being humiliated, scorned, betrayed, suffering great loss, and emerging triumphant in the shining purity of our spirit. 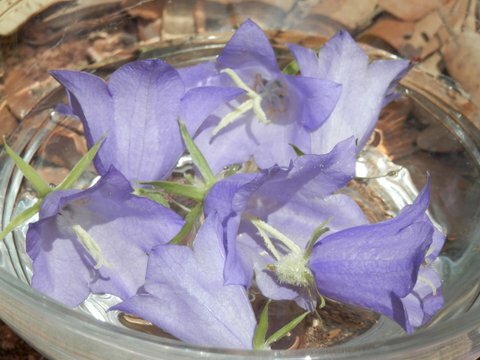 New Mary Magdalene Flower essence – the flowers look like very effective trumpets!!! I will have this new flower/cave essence available soon for purchase… stay tuned. More wonders of the workshop were the journeys to sacred sites in nature, places of immense power and light, where we prayed, meditated and did ceremony…Visiting local shrines and churches, which are all dedicated to the Goddess in one form or another… Exploring castles and ancient ruins…Enjoying the local French food and produce, whilst saturating our bodies with pristine live water from natural sources the entire week. A highlight was the natural spring bathing with warm thermal water on the last day… after our MM initiation. The stories are many, and will be shared in further posts. Participants on a central power spot, the middle of the 5 pointed star that connects the mountain peaks in this area. I encourage you to consider joining me next year June 15th -22nd, 2013, the week of the Summer Solstice. The spiritual power of this area continues to grow. It is a land of incredible nurturing and healing, a delight for the senses and soul. The workshop is a journey of letting go of that which stands in the way of experiencing our innate power and connection to Self, Soul and Spirit. I welcome you to email or call me for further information. 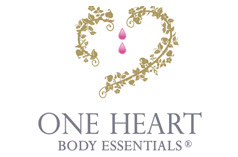 Oneheart@tpg.com, or 0401649868. 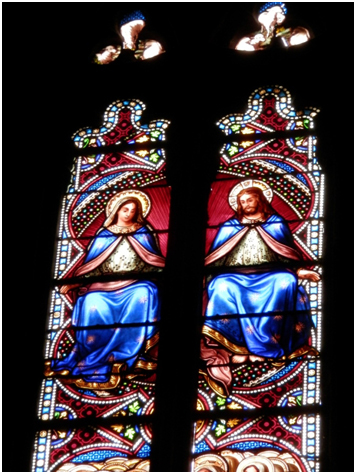 Stained window of Jesus and Mary Magdalene together as equals in local church.